Last Friday was my sister's 20th birthday. 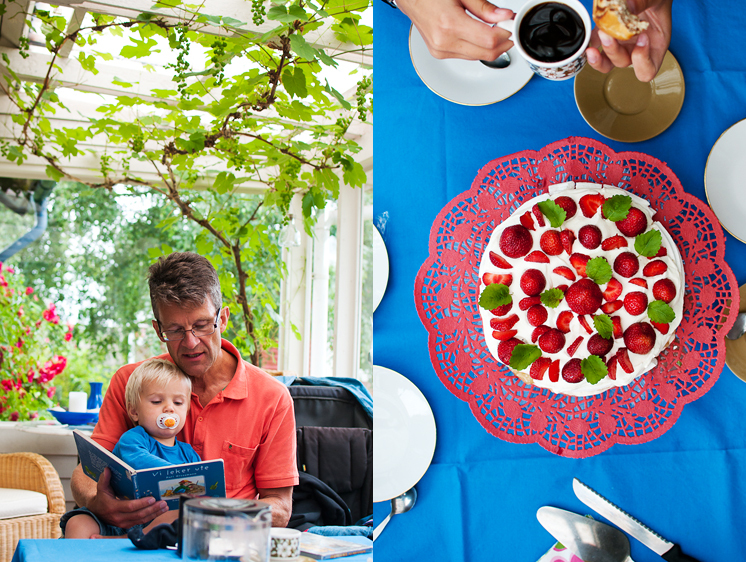 We celebrated just like we (almost) always do: with strawberry cake fika on the glass veranda at our summer house, various parts of the extended family sitting around a long table and the roses on the outer walls as a gorgeous backdrop. I fredags fyllde min syster 20 år. Det firade vi som vi (nästan) alltid gör: med jordgubbstårta på glasverandan i sommarstugan, med delar av släkten runt ett långbord och de prunkande rosorna som bakgrund. Gorgeous backdrop indeed! Great photos! Oh, strawberry cake! It makes me think of Finland. I've wanted one for my birthday for YEARS. 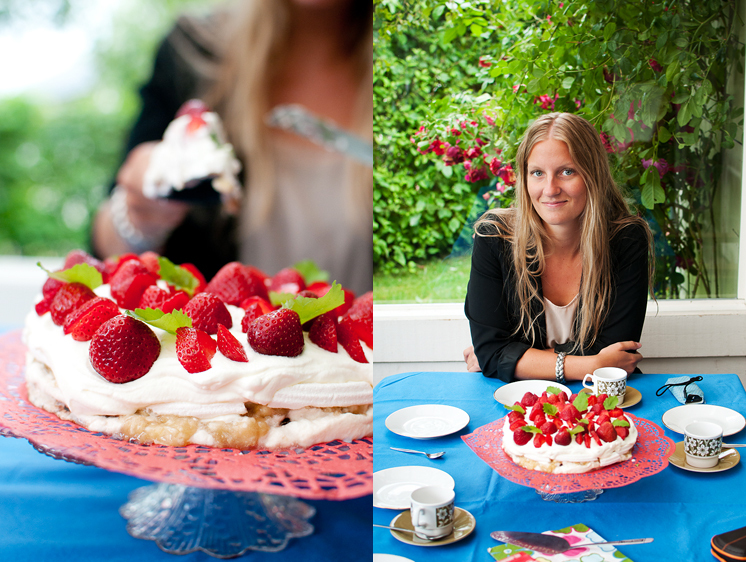 it's never a good idea to make a blogroll late in the evening... those pictures just made me feel so hungry right now! :) the cake looks very, very delicious! Oh my - these photos are beautiful. Colours so vivid - and what an incredible cake!! i want that type of a birthday celebration. åh, vad mysigt det ser ut! och grattis till henne! like the last one with the aerial view the most.